I have posted my other cards today ~ all done! So has everyone gotten the cards I sent? 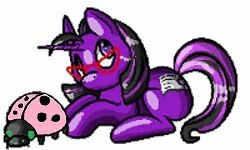 I know one of you have but what about my other two pony buddies? I sent my card today. Let me check mah list, but I do believe all cards are now zooming towards their destinations! I have received one card from Ology. We received the cutest lil card! It had ponies and VG characters and Punky Brewster and all kindsa great characters. My daughter really liked the caroling Pikachu and Jigglypuff. We love it! Thank you so much. I received your card it's so cute! Thank you! I got one cute card from tulagirl and one from icecreamgirl. Thank y'all so much. I got beautiful cards from tulagirl and Leave a Whsper! They were SO STINKIN' CUTE! I'll photograph them and post them for all to enjoy! We're so glad our partners got our cards. I have received all 3 of my cards now and have posted a brag, as well as, left each partner a positive feedback rating. Thank you all so much. I loved my cards.